Does the term “TOLAC” tweak you? On the acronym TOLAC (trial of labor after cesarean)…. Some studies break out statistics in four ways. Some women find the TOLAC acronym offensive, because it implies “trying,” so practitioners sensitive to this may want to use the phrase “planning a VBAC.” Understanding that TOLAC isn’t a dig at moms, but just a straightforward, objective term that care providers use, can (hopefully) take the sting out of the word. So moms, you use the language that works for you! Just remember that TOLAC is really more of a clinical term and when your provider uses it, it doesn’t necessarily mean that they are a jerk. They just may have forgotten to code switch from clinical to sensitive language. Moms don’t typically say, “I’m so excited for my TOLAC!” However, if you do, you might make your provider laugh and connect with them on a human level. Sherri, get a grip! No one cares that you are a midwife and are easily offended by a medical acronym! It is used because it is a specific term that tells REAL providers in exact terms what the plan is for a particular patient. A negative spin!? Who gives a crap? Do the parents care what medical words are used when they have a safe and sound baby? Probably not. Yes, I find it offensive. As a Midwife of many years and attended many VBAC’s OOH,I do not say this to my clients.If we use those types of words it puts a very negative spin on her labor, as her body is not on trial to see if her labor or herself is adequate.She is simply in labor with the same expectations any other woman has for her upcoming birth. 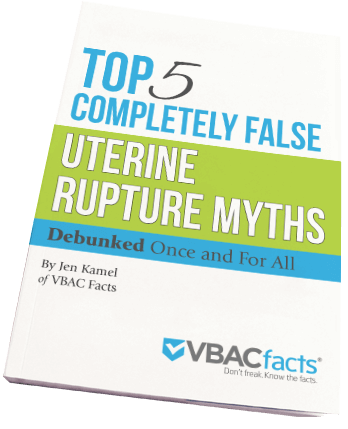 As I work with many women, I attempt to make every pregnancy, labor and birth as normal as possible, women attempting a VBAC need to be reminded she is as normal as any other woman giving birth. There is enough negative thoughts in many pregnant women in our society as it is. Do I find it offensive? No. Does it bother me? Yes. I am not asking your permission if I want to have my next baby vaginally, I am telling you what I am doing. I heard that phrase bantered about while in the hospital recovering from my first birth which was a c-section. I had two providers while getting my prenatal care, and after my c-section the first one to visit told me that I could have a TOLAC. After I looked up the term I was a bit miffed. I was not asking her permission, I was telling her that is what I wanted. When I saw my second provider for my post-partum, he delivered me, he said he saw no reason why I had had the c-section other than length and so was highly optimistic. He said he preferred I try a home birth and he would be there for me if I had to transfer!! Two very different reactions from doctors. One made me feel upset and one was encouraging. Guess which doc I will see when it comes time for #2! I hope care providers read these responses so they can see the great difference a small change of language can make. Absolutely!!! I first heard the term TOLAC when I was being triaged for the birth of my second child. It felt so condescending. In the same sentence I was told that the doctor had done her calculations and that I had a 53.7% chance of a successful VBAC. Luckily I shrugged it off and didn’t listen to her and chose to focus on my plan and with the help of a wonderful doula, nurse and husband delivered my second baby vaginally. What an empowering and awesome VBAC I had! Yes, when care providers say “you can try for a VBAC,” that really rubs me the wrong way. To me, that smells a bit of unsupportive lingo. I have no problem with TOLAC as a retrospective term. I do not like it when used by CPs in talking to VBAC mothers. That language (trying) is not generally used in primip births, and shouldn’t be used in VBACs either.